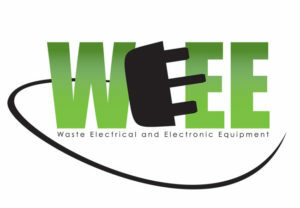 The European Union Waste Electrical and Electronic Equipment (WEEE) Directive is a Producer Responsibility Directive aimed at reducing the waste from electrical equipment, increasing recovery and recycling rates of WEEE and improving the environmental performance of all operators involved in the life cycle of electrical and electronic equipment. The directive specifies that, for products put on the EU market on or after as of August 13, 2005, manufacturers of specified electronic equipment will be responsible for the collection, recycling and reuse of WEEE products. This can include taking back those products at the end of their useful life. Therefore we inform you that you can submit your waste electric and electronic equipment free of charge to the collection points of ZEOS that on our behalf ensures the proper treatment of the WEEE. You can find the nearest and most appropriate location for the submission of the WEEE as well as the other information at the link www.zeos.si.